This is a VIPER review. Also known as Madame Hydra it is a 6" inch action figure made by Hasbro. It is part of the Arnim Zola build a figure wave. 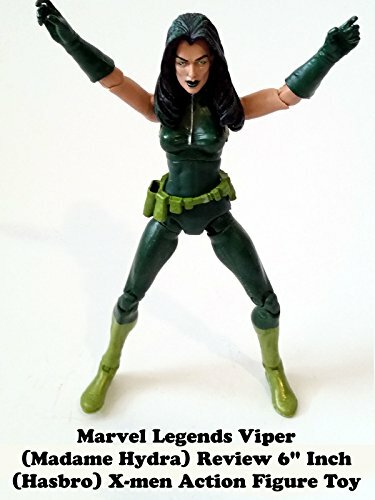 This character of Viper has crossed over with both the X-men and the Avengers world and is a villain in the comic books. It's a well made figure and a nice addition for a toy display.